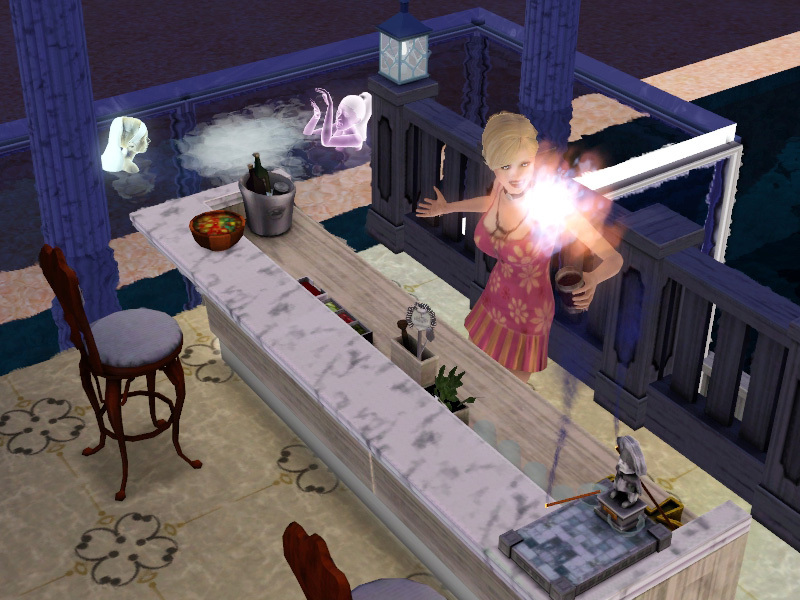 Tips for the Sims 3 Late Night Mixology skill. In Bridgeport, there’s a bar in the basement of the graveyard. 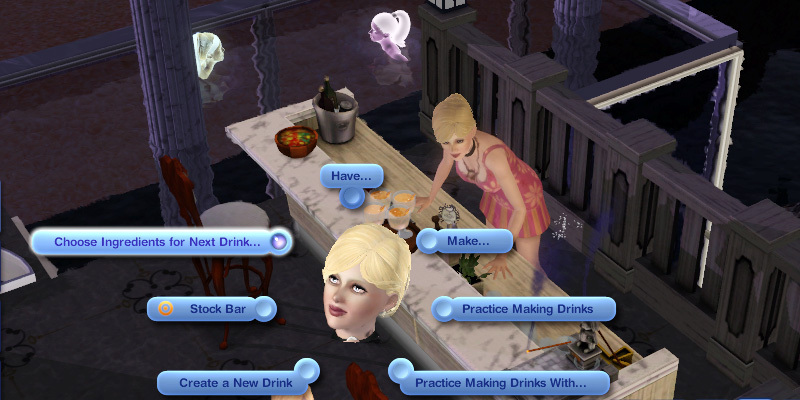 If you place Professional Bars on non-club public lots, a mixologist will tend these bars during certain hours. Drinks are usually cheaper. With maxed skill, the Better Mixologist Lifetime Reward, and perfect fruits, all your drinks will be at least “great”. Vampires, Mummies and Simbots can order special drinks. 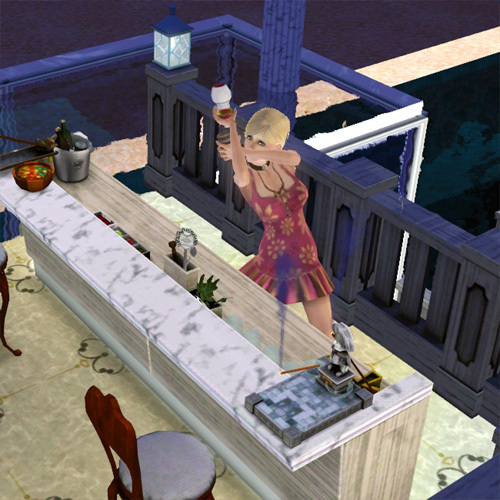 In order to use the ingredients in a bar on your home lot, you must first “Tend Bar”. Only then does the “Choose Ingredients for Next Drink…” interaction open up. Adding a Life Fruit increases lifespan by one day. Adding a Flame Fruit will give the resulting drink a flaming effect. And we lived our lives in black.